At some point during the week, all we want to wear are casual clothes. Dressing casual doesn’t mean you have to sacrifice style or elegance. Casual elegance is classic, can be edgy and it doesn’t have to break the bank. One of the tricks to pulling off a classic look is to pair one or two high priced items with lower priced basics (hi-low). In honor of Casual Elegance, here is an example of a hi-low outfit that pairs timeless pieces that can be worn multiple seasons and on many occasions. Plaid never, ever goes out of style. 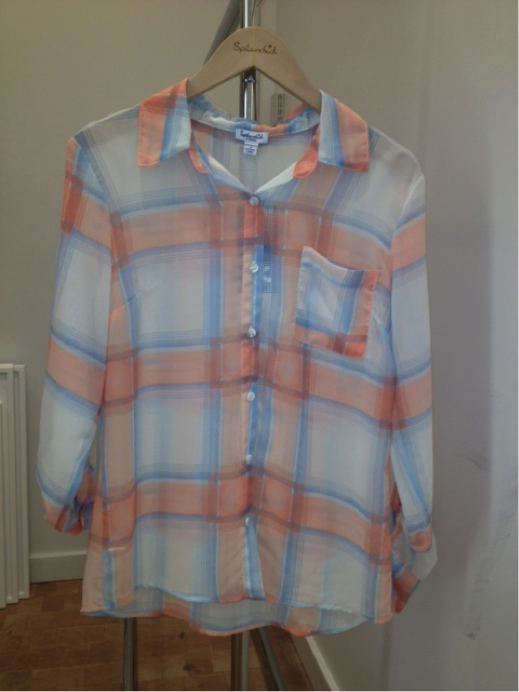 Sheer plaid with rolled sleeves is perfect for spring and even into summer. 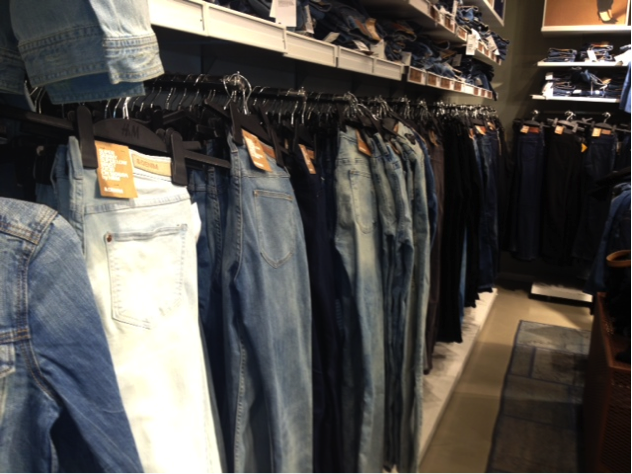 Skinny jeans are a wardrobe staple: dress them up, dress them down, wear them anywhere and look fabulous. Rolled at the ankle with your high-cost piece from splendid and a basic white tank: you’re halfway to rocking a great look. Slightly obsessed with this, it goes with ANYTHING! 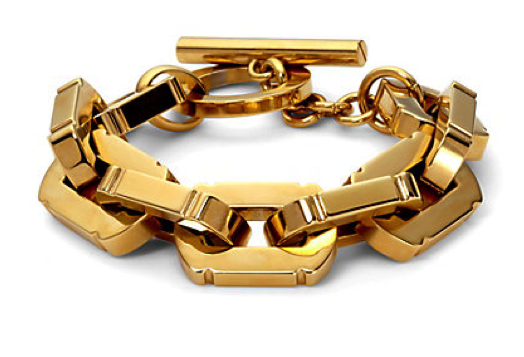 A gold chain bracelet can be paired with almost anything. For a casual outfit like this, it adds the perfect touch of elegance to amp up your casual look. C. Wonder, add some love to your life! 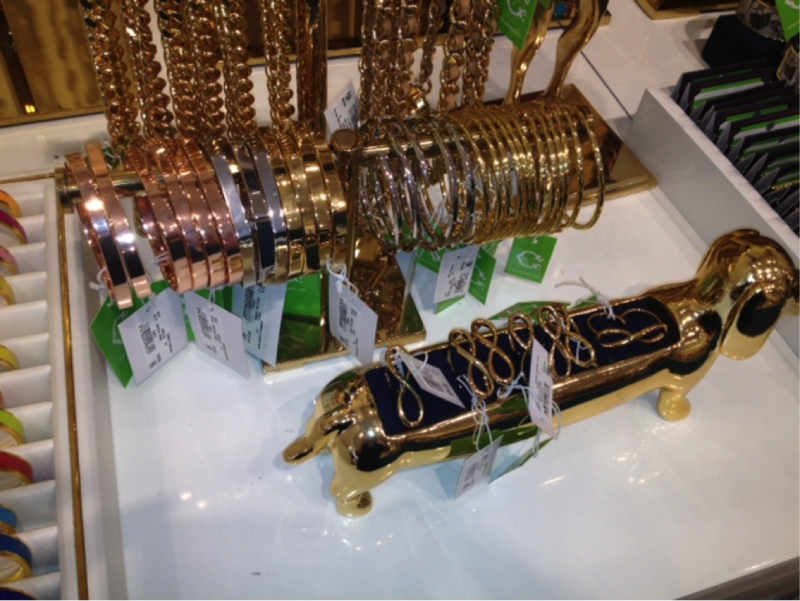 C. Wonder, rose gold, gold, silver, bangles and chains everywhere! Pair this outfit off with a cute pair of flats, leather sandals, or even wedge sandal and you are good to go. You can add another high piece with a statement bag. Mixing high and low priced pieces gives you an overall quality look but also pulls in basic pieces that can be worn anytime. Have you pulled together a great high-low look lately? Tweet us your pics from The Row, we’ll post them in an album on Facebook! 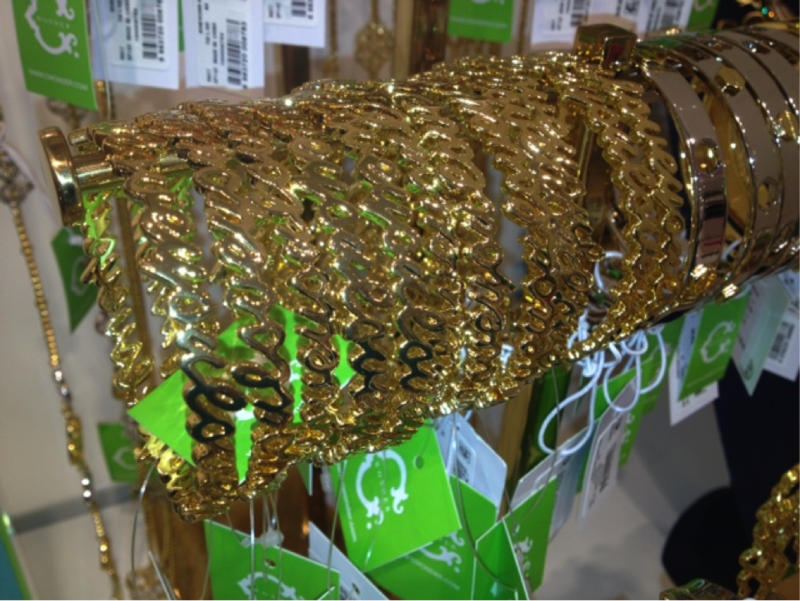 Happy Spring and Happy Shopping!